The Rockets took care of business in Game 5, using a big third quarter to take control of the game. Trailing by four heading into halftime, the Rockets outscored the Timberwolves 30-15 in the third frame, then coasted the rest of the way. The 122-104 victory sealed the series for the Rockets, 4-1, as they advanced to the second round. Clint Capela had a team-high 26 points, while six different players scored at least 12 points in the series-clinching win. It's not yet clear who the Rockets will play in the next round, as they await the winner of the Jazz-Thunder series. 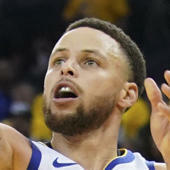 According to SportsLine data scientist Stephen Oh, Houston has a 76.2 percent chance to win the first round and a 43.1 percent chance to reach the conference finals. SportsLine will have game-by-game gambling advice for every playoff series here.